St. Patrick's Day STEM and other STEM challenge activities are so much fun. But, finding the time to incorporate design challenges into your curriculum can be difficult. 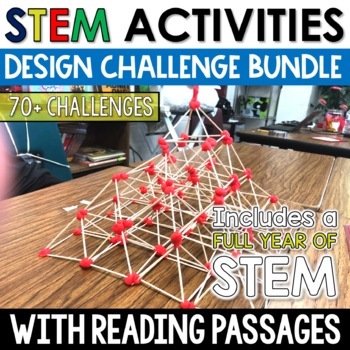 This FULL YEAR STEM BUNDLE includes MORE THAN 70 STEM DESIGN CHALLENGES from the STEM with CLOSE READING series. 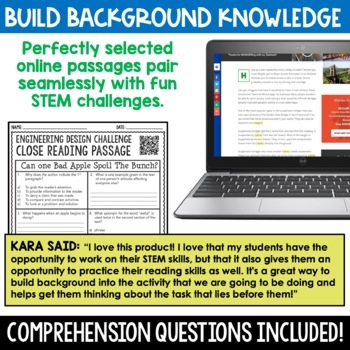 Each challenge seamlessly allows you to tie together the curriculum by giving you rigorous text dependent questions that go with a high interest reading passage in addition to the fun STEM activity! Take your students to new heights and let the STEM adventure begin in your classroom this year! Integrating ELA into your STEM challenges has never been easier or more relevant. Use the close reading passages and questions to get the kids pumped up for each challenge you present them with! 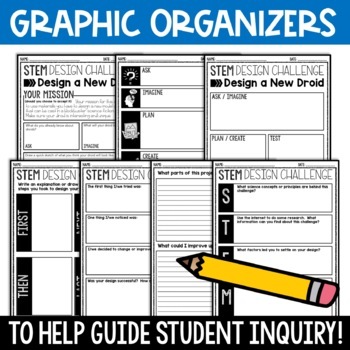 Each of these STEM activities and design challenges come with rigorous questions for one high interest online passage, and one STEM challenge your students can do with readily available materials you have around the house or the classroom. 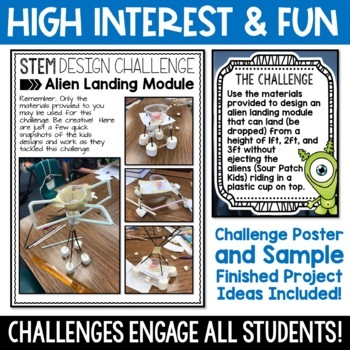 In addition you will also receive a challenge poster to post in your room and a STEM challenge activity parent letter to send home.